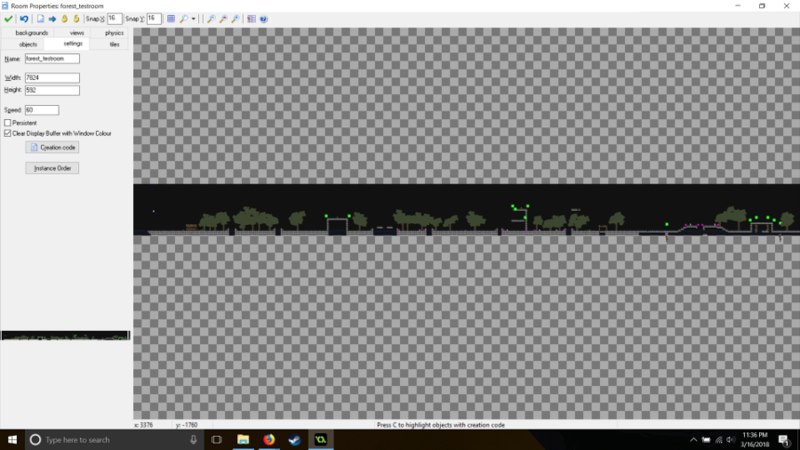 I hit a bit of a snag with my giant linear forest level. After I extended the level out past 8000 units of width in the room editor, I could no longer run the game. I even tried to compile an executable program and run to no avail. Strangely, Game Maker didn't give me any errors or indicate that it had run out of memory. I was super confused when this happened because I was adding objects to the level as I extended it further and wasn't sure what caused the game to break. The fix was simple: split the massive level into a few large rooms. I'm happy to report that the transitions between sections are fairly seamless. I'm purposely not putting bats or frogs near the split point because they are more likely to break the illusion - they don't have restricted movement like the other enemies in the area. Ultimately, it's probably for the best that my giant level won't be a single room. A massive room was guaranteed to cause performance issues. Not much else to show off at this point. 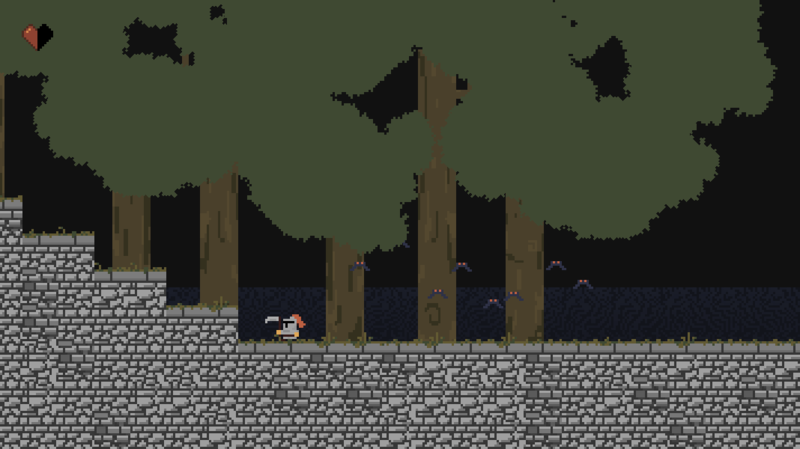 The next section of the forest is a lot more vertical and forces the player into some tighter passages. I'm trying to make it harder to avoid fighting enemies at this point. The area boss is actually previewed at the start of the next section - but I'm keeping that under wraps for now. Stay tuned! I have decided to scale back the number of bosses and side quests in hopes of actually finishing the game. 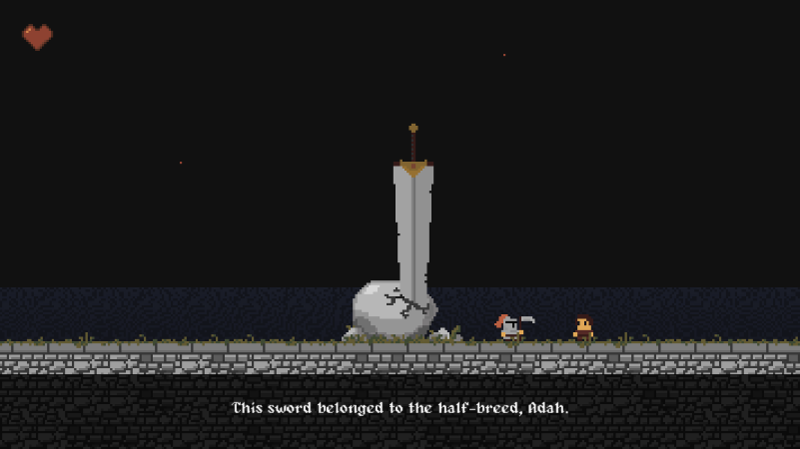 I never anticipated working on this game as long as I have – I thought it was going to be a short, fun project. I severely underestimated how much work goes into a solo project like this – even if it is a basic platformer. Part of me is reluctant to cut content – but I would much rather finish this game than chase some an initial vision that won't be realized. There's still a lot of work to do and scaling back makes me a lot more excited to work on the project and hopefully finish it soon. Lazarus takes place in the late stages of a holy war between two faiths. Both sides have suffered massive casualties and carried out horrible acts in the name of their gods. Before the war, the kingdom's king was tolerant of the druids and worshipers of the old gods. 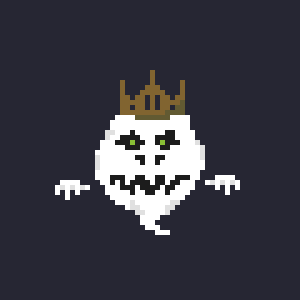 The Dead King serves as a boss, but like all ghosts, he cannot be harmed by physical damage. On a related note, I have added a new character to the game who is religious fanatic. This character is jealous that he was not selected to carry out the angel's mission and seeks to cleanse the world of sin and carry out what he sees as divine justice. I borrowed design cues from Bloodborne and Berserk for this character. It was tough getting the wheel looking decent with so few pixels. I'm still working on his animations – but I think it will come together. Emil is easily the game's most sadistic character. He hunts down worshipers of the old gods and often brutally tortures them in the name of his lord. He regularly whips himself to seek penance for his own sins and is rumored to have removed his own eye seeking to please god. I'm considering depicting some of his victims in game to illustrate his violent deeds and show the ugly truth behind religious fanaticism. I have two hesitations about using images like this. One: it's far more violent than anything else that's been depicted in the game. And two: I worry that this will be misconstrued as simply a negative depiction of Christianity. I like the idea of showing how a person can carry out heinous deeds and use a combination of religious texts and mental gymnastics to justify their actions. I would appreciate feedback and criticism on the use of imagery like this. Lately, I've been finishing up the forest. I added some polish and animations to the boss fight – and I'm happy with the end result. I designed the level on paper and as I built it out, I tested out some different enemy placements and ideas along the way. Through this process, I added a basic mini-boss – which adds a small challenge but does also shows the player what future enemies will be like in more difficult areas. The last screenshot is the boss arena. I'm keeping them under wraps for now, but I'm hoping to make a trailer soon and odds are, they will make an appearance. If you keep building on it, and improve upon the game's art - I think I'll really enjoy this one. Thanks - I plan to add a little more polish and detail to the some of the levels, but any feedback or suggestions on elements to improve would be welcome. Thanks. Will do. I definitely have room for improvement with larger elements. The game seems cool. You've got a lot more varied obstacles and environmental things than my game has at the moment. It looks like the range on the scythe is really limited. Is that range just something you threw in there or was it a conscious decision? Thanks. 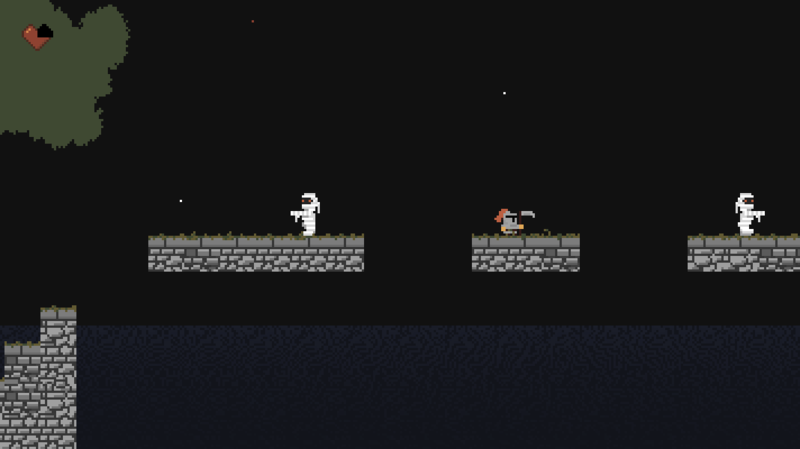 My intent behind the short range was to force the player to get close to enemies and precisely time attacks. Good luck with your own game! Do you think it might just result in the player's playing defensively and avoiding enemies? Have you done much playtesting? That's a good question. I've done some playtesting, but most of it was from in-person demos a while ago. I definitely need to get more feedback and see how different people approach things. From a design standpoint, I'm guess I'm fine with players skipping enemies as they would still need to navigate the areas and learn what's waiting for them. I have tried to intentionally place some enemies in corridors and set up moments where combat is unavoidable. Hopefully, that will keep things interesting. Lately, I've been building the stage for the Dead King (big ghost) boss battle. This boss is more about navigating the level and staying alive than the other fights. 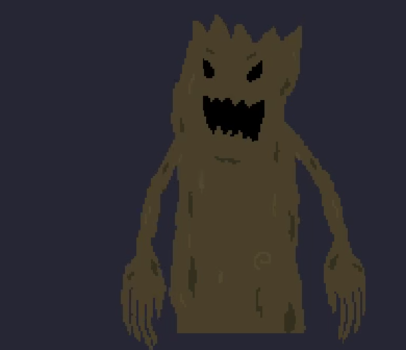 I have finished animating the Dead King, but I haven't added him to the game yet. 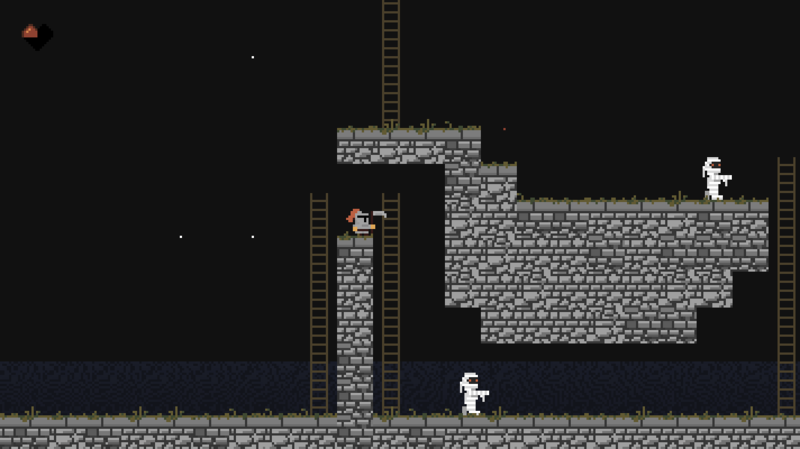 For now, I'm just trying to get the level roughly designed and I'm using a standard ghost enemy to create urgency. Once I get the actual boss functioning, I'll tweak the platforms and obstacles to tighten everything up. In other news, my plan to cut down content and finish the game isn't going well. Lately, I've been toying with the idea of adding a heavier attack that deals more damage but leaves the player open for damage after executing. I'm still debating – I want to keep the mechanics simple, but I feel like it needs just a little something more. Sorry for the lack of updates. I haven't had much time to work on the game lately. Over the last few weeks, I have found time for some small tweaks and updates. I added a new animation to kick off the Dead King fight. Right now, the fight works - it just needs more polish. Hopefully, that will come together soon. I also made new versions of the torches. I feel a lot more confident making animated sprites than when I started this game. There are probably a few other objects that I should revisit and update too. I'll hope to have more to show off soon. I've added a lot of content this week and made some decisions to add some variety to combat. Mostly, I've been working on artwork and adding some important pieces that have been missing. As far as combat goes, I've decided that there will be two new types of attacks. In some ways, this will make combat less difficult and allow more range in combat. I think the key to balancing this out will be to have some more aggressive enemies with more hit points – like the wolf seen earlier. I might have to revisit and tweak the levels I've finished and make the boss fights more difficult – but I feel like it will make the game more fun overall and will give players more freedom to approach fights differently. I've also been writing more dialogue and building out the game's backstory. When I initially came up with the game's plot, it was very much a good vs evil story, but things have evolved to be less black and white. This week, I added the throw attack to the game. I was dreading re-writing the player object's code, so I ended up trying a different approach. I made a new player object that is created when the slash attack is held down. This isn't an elegant approach – but it works and it was easy to implement. The next attack is going to be a bit more complicated, so I feel like this will let me experiment more easily and add it once everything works. Once the new player object exists, the real player object tracks to its x and y coordinates and becomes invisible. This keeps enemy AI working without changes to their code. 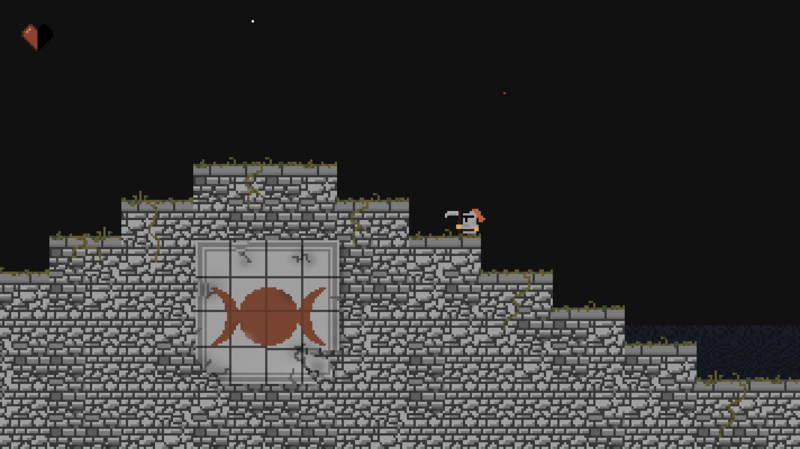 In throw mode, the player moves much slower and can't climb ladders or interact with objects until the scythe returns. Edit: Increased the rotation speed and reduced the motion blur. Removed the previous GIF. A few weeks ago, I added the scythe throw attack to the game and I quickly tested it out and was satisfied with the results. Then a few days later, I started replaying some earlier areas of the game and starting uncovering glitches left and right. It seems that it's not a great idea to implement all new concepts fairly late in development...I'm still adding at least one more specialty attack, however. So, I spent a lot of the last few weeks making sure the throw attack interacted with the environment appropriately. There are some enemies that linger underground and I had to decide if the throw attack would travel through walls and floors. I decided that it wouldn't. I also tweaked the player movement speed while waiting for the scythe to return, as I felt it was a little too restrictive in some circumstances. I also had to revisit the boss fights and make sure the throw attacks didn't make them too easy. Visually, I don't have much to show for my efforts but I'm happy to report that things now work as intended. Several months ago, I decided to cut content from the game with the intent of increasing the likelihood of finishing it. That hasn't gone exactly to plan. Lately, I've been creating new, more difficult enemies. On the one hand, I feel bad that the finish line keeps getting further away, but on the other hand, I feel like these new enemies and ideas have renewed my interest in the project. We'll see how it plays out, I guess. I also decided to do something somewhat drastic with my overworld map. The forest area I've been developing will no longer be attached to the central hub of the game world. Instead, it will serve as the starting game area and after the player defeats the bosses, he/she can travel to a new outdoor area that will connect to the other areas and bosses. I felt like the map was too linear and didn't have enough points of interest to accomplish what I intended. That said, I still like the area and I intentionally designed it to be easier, so I think it will make a nice early game level. When I started this project, my animation skills were pretty poor, but I feel like I've improved a lot. I've postponed animating the minotaur since it seemed like such a daunting task. Finally, I had to roll up my sleeves and make it happen. I re-drew the sprite so that the minotaur holds the axe with both hands and extended the handle to be more proportionate. Here's my initial attempt at a walking animation. As you can see, it's a little underwhelming. It ended up being a good first draft but it was pretty lifeless. I spent some more time adding some more movement throughout his body. I still wanted to keep his movement kind of clunky since he's supposed to be a slow, bulky enemy. I do think that adding movement to the head and subtly to the torso made for a major improvement. Here's take two for the walking animation. I've also started working on the attack animations. For these, I'm trying to make sure there's a frame or two of animation before the attack starts so players can learn to predict what's coming. I also added in some motion blur to sell the fast jabs. I've been using Game Maker for a long time. I think I started in middle school. Back then, I don't think the version I used had tile support (maybe the pro version did but I only had the free version). So, I've been building the game with those old methods because that's how I've always done it. I decided to spend a little time learning about tiles and honestly I feel stupid that I didn't embrace them sooner. Using Game Maker Studio's tile_layer_shift function made it easy to add parallax backgrounds to outdoor areas. I've also been adding minute details and decorative touches to dungeon backdrops. 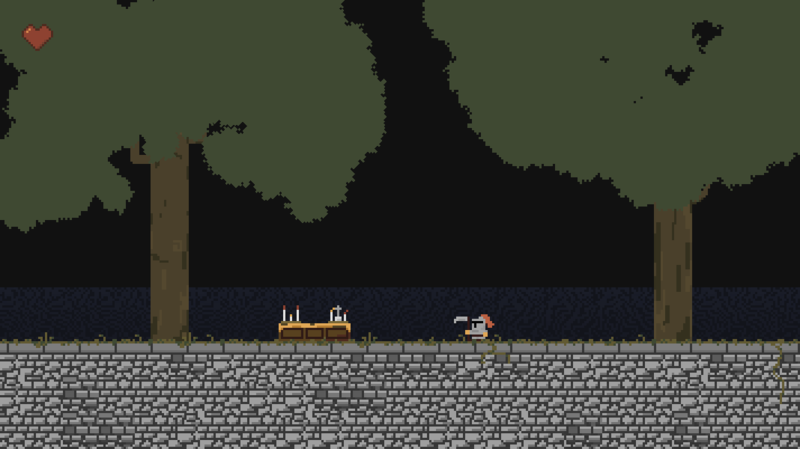 Now I need to add some new foreground tiles to make the cliffs look better. I'm also planning to revamp the stars and add some detail there. 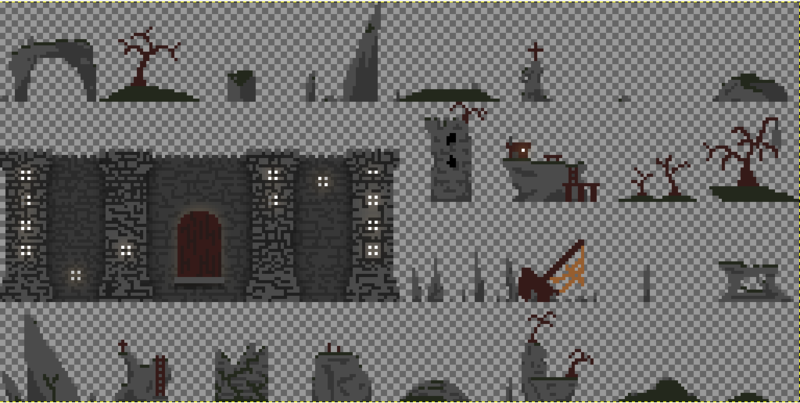 What's great is that this actually makes building levels easier and things end up looking more detailed and varied. I realize this is a pretty standard technique – but it was new to me and honestly much easier to implement than I realized. Like the boomerang ability, this weapon art must be found somewhere in the game world. This attack deals heavy damage and can potentially stagger some enemies. The tradeoff is that it leaves you immobile for a brief second after the attack and can only be activated with sufficient distance from walls and floors. I'm still having some collision issues that need to be worked out. Basically, it works perfectly 95% of the time...but unfortunately that's not gonna cut it. Every now and then the collision is a pixel off. I was able to find a workaround, but it added some jitter to the camera that I don't like. Instead of using my existing platforming code, I took some shortcuts and built the effect as simply as I could. Now, I either need to go through and add more to the code or scrap it and start over. Hopefully, I'll have it working perfectly soon. In general, I'm happy with how it looks. I'm pleased with the motion blur and rotating the sprite in-game for a smoother animation. Update: After re-writing the code and breaking things a few times, I'm happy to report the collision errors are gone.